These emails came though on 2015-03-17, but I didn't find out about them until today. I thought this was interesting enough to dig into, but it's just another botnet-based Upatre/Dyre malspam run. Consider this a companion article to what Techhelplist.com already published. Of note, the picture used in the email not Carrie L. Tolstedt. It's actually Jamie Moldafsky, Wells Fargo's Chief Marketing Officer. 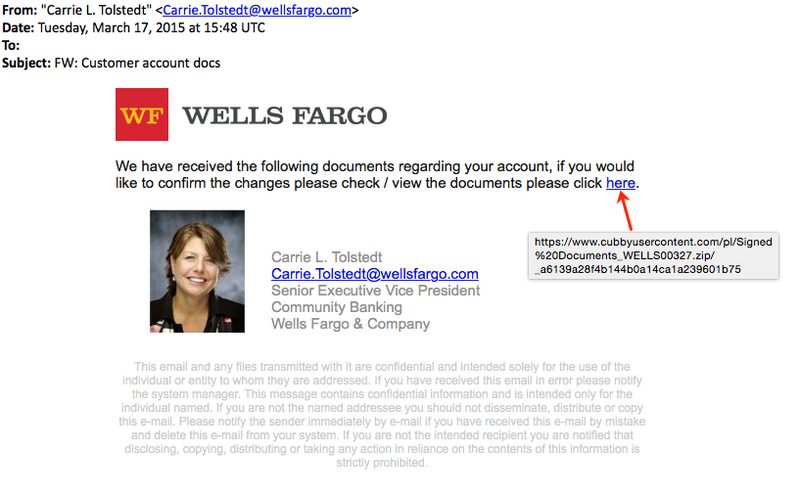 One wonders why the spammers didn't use a real image of Carrie L. Tolstedt. A quick Google search shows many images of Tolstedt. 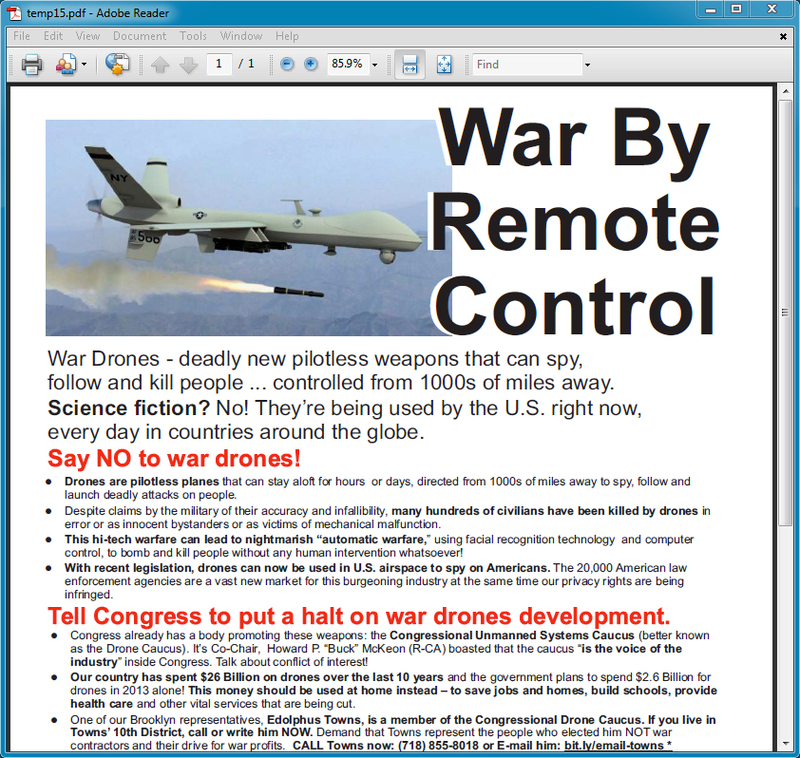 NOTE: temp15.pdf is a regular PDF document (abour war drones) that opens on the desktop, drawing your attention away from the infection happening behind the scenes.